Sandler Sales Institute franchise business opportunity. Free Sandler Sales Institute business franchise information. For more than 30 years, Sandler has been a leader in sales and sales management training. Sandler's distinctive, non-traditional selling system and highly effective sales training methodology have helped salespeople and sales managers at every level take charge of the selling process. Sandler training is designed to create lasting "performance improvement" rather than the motivational "quick fix" typical of many seminar-based training efforts. To do so, Sandler relies on "reinforcement training" - a system that combines quality review materials along with access to ongoing training workshops and individual coaching sessions. 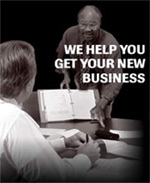 Sandler began franchising its training program in 1983 through the Sandler Sales Institute. Today, the institute supports a growing network of more than 175 North American franchises, and Sandler International, the company's newest division, is actively seeking overseas development partners. In the <?xml:namespace prefix = st1 ns = "urn:schemas-microsoft-com:office:smarttags" />U.S. and Canada, Sandler franchise territories are geographically defined and population-based. Internationally, area franchise developers receive geographic exclusivity (on a national and/or regional basis). For Sandler franchisees, start up costs are moderate by industry standards with an estimated total cost, in US dollars, of from $69,450 to $86,750. Sandler International fees vary from country to country. To learn more about the Sandler Sales Institute franchise opportunity, simply complete the form below.